Perhaps you didn’t know exactly how nerdy I am, but once I tell you what I am doing you will know for sure. 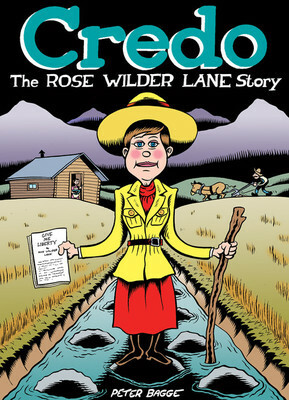 I leave Tuesday for a Laura Ingalls Wilder adventure. I am flying to Wisconsin, where I will meet an Ingalls relative and a Wilder relative. We, along with three other Laura Ingalls Wilder and Little House on the Prairie (television show) fans, will be spending the following eight days visiting some Laura Ingalls Wilder sites and attending a 40th Anniversary Little House on the Prairie Cast Reunion taking place in Walnut Grove, Minnesota over the weekend. 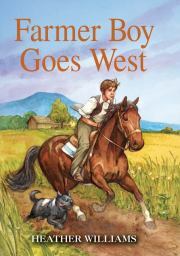 Farmer Boy Goes West by Heather Williams is the story of fourteen-year-old Almanzo Wilder going West with his parents, older sister Alice, and baby brother Perly. 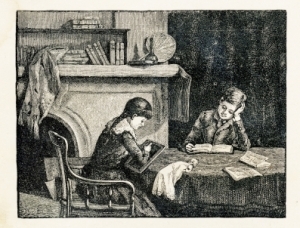 Mother receives a letter from her brother George, who lives in Spring Valley, Minnesota. He encourages the Wilders to pay him and his new wife a visit to see if they would like to move there. It takes months of preparations, but once winter is over, the Wilders board a train to start their journey to Spring Valley. Royal and Eliza Jane are being left behind to watch the farm in Malone, New York. Almanzo is excited to go, but he knows he will miss his horse, Starlight. Farmer Boy Goes West is a superb addition to the Laura Ingalls Wilder and Little House legacy. 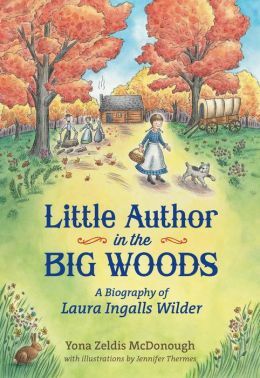 Meant to serve as a sequel to Wilder’s Farmer Boy, this story of a teenage Almanzo going West captures all the excitement and adventure of the original Little House books, while providing some insight into the man Laura Ingalls would eventually marry. 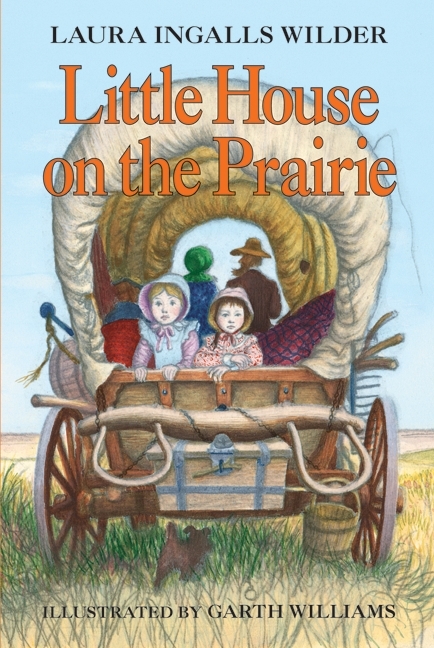 A healthy blend of fact and fiction, Williams captures the essence of the original Little House books, while maintaining an air of her own style. The events in this book are condensed to two years instead of the five years it actually took for the Wilders to make their move from New York to Minnesota. She also took liberties with some of the historical characters. I don’t feel that had a negative impact on the story, but those who are sticklers for facts might have an issue with it. I’m hoping not, since this is a truly delightful story. The only thing that really made me stop for a second came in the second chapter, when it said, “One day in January, soon after Almanzo’s fourteenth birthday…” Almanzo’s birthday is in February. While Wilder did play around with the Wilder siblings’ birthdays in Farmer Boy–making Almanzo closer in age to his older brother and sister–as far as I recall, she didn’t change the month Almanzo was born. As with any great story, things aren’t always easy. Almanzo ends up having to attend a new school in Minnesota. He has to make new friends. He misses Starlight and Royal, maybe even his bossy older sister, Eliza Jane. He likes a girl at school, but is shy and has no idea how to get to know her. His Aunt Martha isn’t very happy about jamming the Wilders into their tiny home. There are also some neat surprises and interesting historical characters added in, but you won’t know what or who those are unless you read the book. I’m thrilled to add Farmer Boy Goes West to my Little House collection. I purchased a copy of this book from Amazon. This review contains my honest opinions, for which I have not been compensated in any way.